MANCOMM’s newest product, Maritime OSHA regulations, will help keep you in compliance with the latest safety and health regulations affecting longshoring, shipyard employment, and marine terminals. Included are parts 1903, 1904, 1915, 1917, 1918, 1919 & 1920, along with selected sections of the 1910 General Industry Safety Orders. The referenced 1910 are included in this unprecedented Maritime safety publication to help you stay compliant from every angle and keep your employees safe. Choose the book or the CD-ROM, both with MANCOMM’s signature Reglogic® with easy to use indexes to help you find specific items of interest with ease. Everything you need to know about important topics such as cargo operations, protective measures, load limitations and much more are included in this new product. Only MANCOMM has this up-to-date, easy-to-read compilation of Maritime regulations, a great guide for companies in one of the oldest and largest industries in the world today. Windows® 95 Release B or higher, Windows® 98, Windows® ME, Windows® NT4.0, Windows® 2000, Windows® XP. Processor:Intel Pentium® 133Mhz or higher processor. 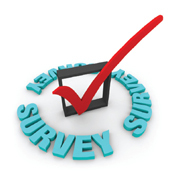 Other Software: Microsoft® Internet Explorer® 5.5 or higher (included on CD), Acrobat® Reader (included on CD). Find specific items of interest with ease. Everything you need to know about important topics related to the safety and health regulations affecting longshoring, shipyard employment, marine terminals, and much more are included in this new product. 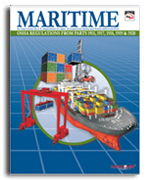 Only MANCOMM has this up-to-date, easy-to-read compilation of Maritime regulations, a great guide for companies in one of the oldest and largest industries in the world today. Get the added assurance of being in compliance with our combination Maritime General Industry Regulations Book and CD-ROM package. You will find in both resources parts 1903, 1904, 1915, 1917, 1918, 1919 & 1920, along with selected sections of the 1910 General Industry Safety Orders. The referenced 1910 section will help you stay compliant from every angle and keep your employees safe. The user-friendly Quick-Find Index™ in the book and simple word search on the CD-ROM will allow you to quickly access any information you need. 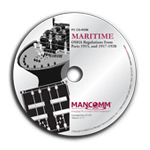 Only MANCOMM has this up-to-date, user-friendly compilation package of Maritime regulations, a must-have guide for companies in one of the world’s oldest and largest industries. CD-ROM System Requirements Operating System: Windows® 95 Release B or higher, Windows® 98, Windows® ME, Windows® NT4.0, Windows® 2000, Windows® XP. Processor: Intel Pentium® 133Mhz or higher processor. MANCOMM introduces the biggest, most revolutionary development in fall protection since the invention of the safety net. To help protect your workers against fall-related accidents and stay compliant with OSHA, MANCOMM has developed and released Fall Protection: Complete OSHA Regulations. This 140+ page, 8-1/2" x 11" volume is enhanced with RegLogic®, a colorful, graphical approach that makes reading and understanding regulations easier than ever. Safety trainers, you will find Fall Protection: Complete OSHA Regulations indispensable. You’ll no longer need to look up and compile fall-protection information from various parts of the OSHA regulations – the work has already been done for you. The book also serves as the perfect textbook for trainees. You won’t need to copy reams of information from different sources, and the addition of RegLogic® makes it easier for trainees to find and retain vital information. Inadequate fall protection in the workplace can lead to heavy fines – or worse, employee injuries and deaths. Don’t fall short in your safety knowledge. MANCOMM's Fall Protection: Complete OSHA Regulations is the most useful book on this topic ever released. NEW, enhanced with RegLogic®, and only available from MANCOMM! To help companies in the oil and gas industry protect workers and stay compliant with OSHA mandates, MANCOMM has just completed Oil & Gas Industry: OSHA Regulations from Parts 1903, 1904, 1910, & 1926. This 716-page, 8-1/2" x 11" book is enhanced with RegLogic®, a colorful, graphical approach that makes reading and understanding regulations easier than ever. RegLogic® is an integral part of the MANCOMM mission – Changing the Complex into Compliance®. This book can take the place of several volumes of OSHA regulations, and having so much vital information compiled in one place makes it invaluable. OSHA inspections, personal protective equipment, toxic and hazardous substances, and excavations are just a few of the many topics covered. 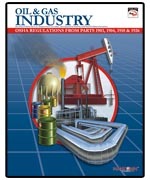 Oil & Gas Industry: OSHA Regulations from Parts 1903, 1904, 1910, & 1926 is a great resource to a wide range of companies. Whether your business produces, processes or works with petrochemicals, this book is essential to your safety people. Other Software: Microsoft® Internet Explorer® 5.5 or higher (included on CD), Acrobat® Reader (included on CD). CD-ROM: Required. Find specific items of interest with ease. Everything you need to know about important topics concerning safety and health regulations related to personal protective equipment, toxic and hazardous substances, excavations, and more are included in this new product. 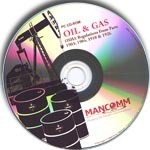 Only MANCOMM has this user-friendly compilation of Oil & Gas regulations, a great guide for any company that processes or works with petrochemicals.